My experience of Dedicated Marine’s and Chris’ products and service is that I have been delighted with both. Some background:- We are based in Antigua, W.I. and have a 1998 Leopard 45 named Aftica which I purchased in Coral Harbour, New Providence, Bahamas in early 2012. 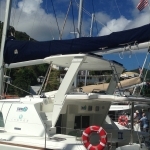 My wife and I spent a month or so exploring the Bahamas and decided that we wished to replace the existing canvas bimini with a hardtop for safety, sun protection and aesthetic reasons. 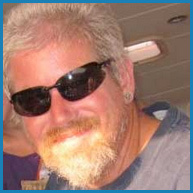 Having made the decision, I sought advice from friends who are professionals in the yachting industry in Grenada, Sint Maarten and BVI; all recommended that Chris had the best product.We had not heard of Dedicated Marine so I did a bit of background research and consequently contacted him. Chris quoted a spec., price and delivery which we accepted. On the agreed date we arrived at Harbour Towne Marina in Dania Beach FL. Exactly on schedule the next morning the hard top and Chris arrived and 12 hours later the top was installed (it fitted like a glove), the electrics wired up and we were ready to go. Our route to Antigua from Fort Lauderdale took us 950nm east into the Atlantic and then 450nm south on 062W to Antigua. On that voyage the stb lazyjack collapsed in 45kts of wind and I was able to tame the sail due to being able to wander about on the hardtop with complete confidence. Nearly 5 years since it was fitted, the hard top is in “as new” condition and additionally we have dealt with Chris for davits (which were fabricated in Florida and shipped to Antigua – also fitted like a glove) and a solar package (which has enabled us to remove and sell the Northern Lights 9.2kW generator). All have been very happy experiences. 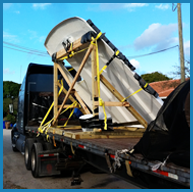 On the basis of our experience, our next door neighbour in Antigua purchased from Chris a helm bimini for his new Lagoon 450 (Faders Watch) – this was also fabricated in Florida and shipped to and fitted in Antigua. 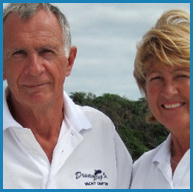 Whilst we have been sailing around the Caribbean, a number of other Leopard and Lagoon owners have looked at our hard top and I believe that most have subsequently done business with Chris. October 17, 2016. 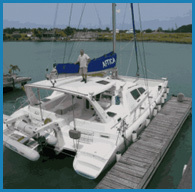 – Hi Chris, My Lagoon 440 is in Freeport Grand Bahama. The eye of Hurricane Matthew went right over Freeport; 140mph winds were recorded. You installed my hard top 2 years ago at TMM – the boat was called Allison then. Just wanted to report to you that the hard top suffered no damage in the Hurricane’s 140mph winds.